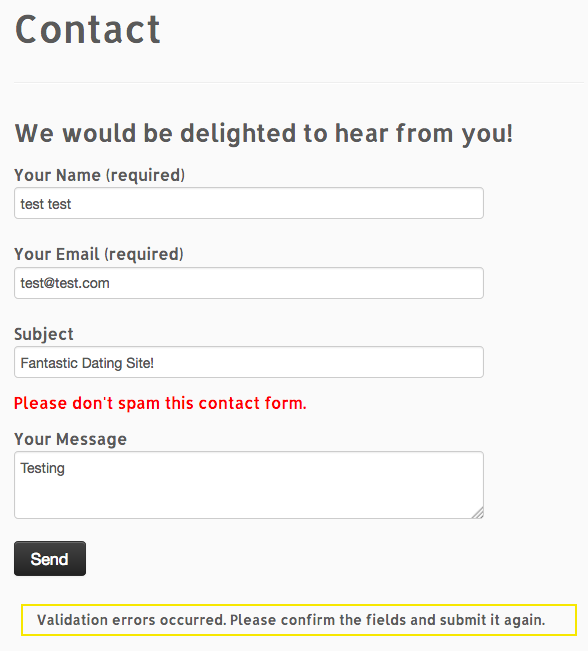 There are several ways to deal with spam sent through Contact Form 7, but many involve yet another plugin, paid services, annoying captchas, math quizzes, etc. 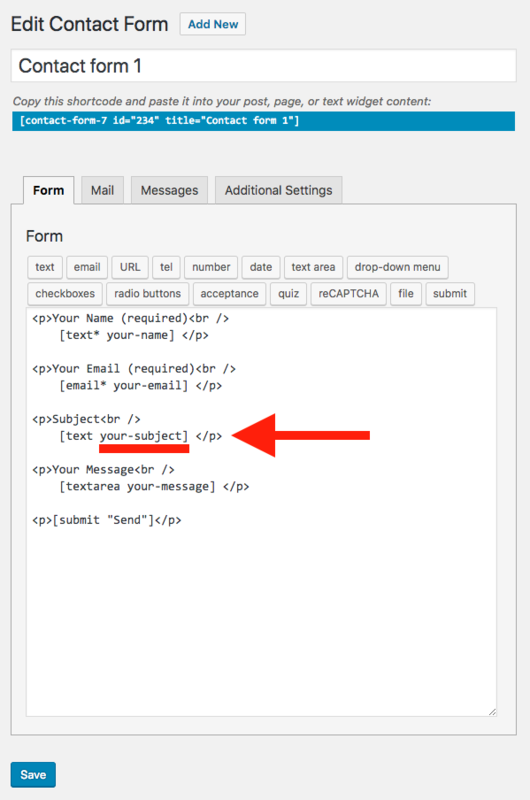 If you just want to stop contact form messages that contain specific words, you can add a filter in your site’s functions.php file. For example, the latest spam rage seems to be all about “dating” sites (really?). Almost all of the spam has the same key words, which luckily are ones that nobody would actually use in a contact form for a software consulting business (and I’m not particularly looking for any dating sites as clients). The spam words that come up most for me are “dating”, “datings”, “personals”, and “singles”. The filter code I use checks the subject line for these words, and throws a validation error and message if any of these words appear in the subject line. It’s not sophisticated, and can be easily defeated by a human, but it will stop most run of the mill spam bots. Change the $spam_words to match whatever words you want to used. You can also use the same function to check the message body if your spam situation is getting out of hand, but it may be worth checking other options.